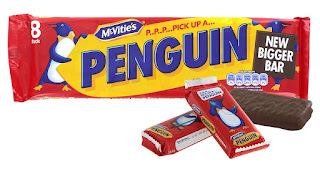 Why did a pack of penguin biscuits arrive in the post in the Honeyguide office? The answer is a mixture of pedantry, enthusiasm for natural history and an apology with a sense of humour. Each weekend a trade magazine called Travel Weekly arrives here. Between you and me (and that's not many in the early days of the Honeyguide blog) I wouldn't subscribe to Travel Weekly, but it is free of charge and though it is mostly for travel agents (high street shops and online equivalents) it does sometimes have useful travel trade news and information. In a recent cruise special - cruise is a growing sector of the travel world nowadays - a columnist listed seeing penguins in the Arctic as a bucket list ambition for a cruise. I admit to being a pedant on this kind of occasion, and it took only a moment or two to email the editor to explain this was the wrong hemisphere for penguins (see picture of my letter). 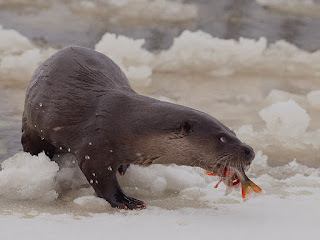 Fish otter – a perfect predator The fish otter, writes Artur Wiatr, Honeyguide’s leader in Poland, is a perfectly skilled predator of fantastic abilities and a body adapted to swim. It likes to take fish most of all – though the diet may also contain crayfish, frogs and bird chicks – and because of this it has a bad reputation among fish pond managers in Poland. 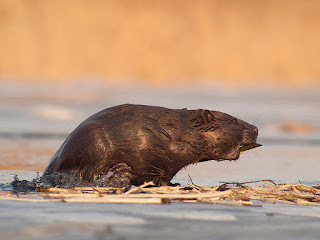 Otters have become a more and more frequent mammal in Biebrza National Park. Although one otter family may occupy up to 5km of a river it is not easy to spot them. As for many other mammals, the best time to watch otter is winter. They like to hunt from frozen river banks and they seem to be quite successful. Once a while you can see the whole family playing together on the ice and teaching juveniles how to fish. When disturbed, otters quickly jump into the water and may stay there for few minutes when necessary. In the seasons when the vegetation is thick our otters stay rather shy so we enjoy our otter encounters when we can.